Soft drinks brand Coca-Cola has devised a football-themed augmented reality experience to get fans in the mood for the World Cup. The campaign celebrates the start of the Fifa World cup and the soft drinks brand's continued support of football. 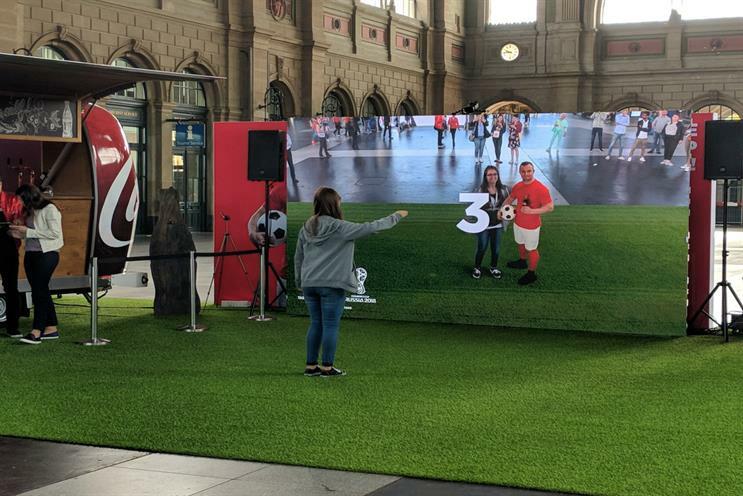 Taking place on 22 June at Zurich's main train station in Switzerland, fans are experiencing firsthand what it’s like to play alongside Switzerland's star forward Xherdan Shaqiri. Participants are treated to a show of skill from Shaqiri and are invited to get involved and play a few shots against the Swiss star. At the end of the experience, the user is prompted to take a photo moment with Shaqiri, with the option to enter their details to receive a copy of the photo and a chance to win a Fifa World Cup Official Match Ball. The campaign was created by Top-Spot and Grand Visual, who also directed and built the bespoke creative technology set-up. The activation also took place on the 15 June.